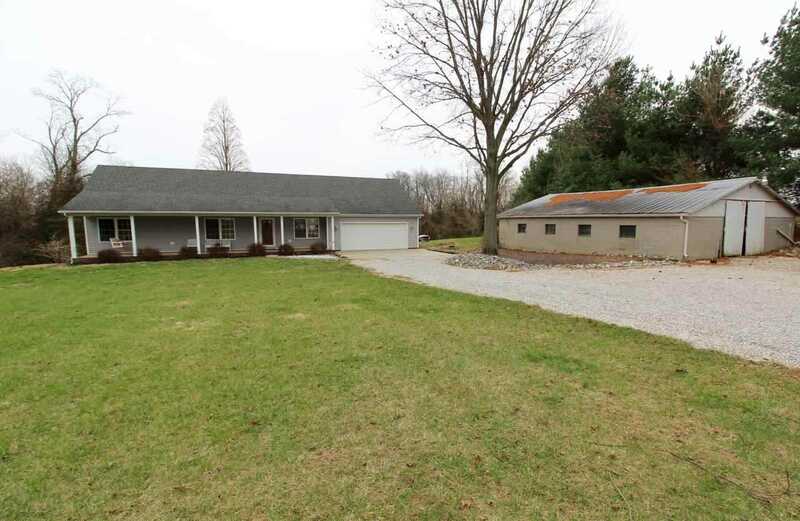 Don't miss this beautiful country setting home with over 6 acres and 2 ponds! This home features an open floor plan with 3 bedrooms and 3 full baths with an unfinished basement. The laundry room is off the kitchen with access to a full bath. The kitchen has lots of cabinets with large island and ceramic tile floors. The bedrooms are a nice size along with a large master suite and full bath. This home is perfect for family gatherings on the covered back porch facing the pond which has fish and a dock. You will enjoy a peace full setting with lots of mature trees. Schedule your appointment today. A home warranty is included. Directions:From Owensville, West on Hwy 165, South on CR 850 W, Home on Left. SchoolsClick map icons below to view information for schools near 5760 S 850 W Owensville, IN 47665.